This one is not going to be as pretty as the NRL post I made a few weeks ago. In that one, the NRL model has made 105 units profit since the Dailyprofit service has started. Unlike other tipsters, I want to show you the realities of betting, and that means losing as well. For well over a decade, the Sportpunter AFL model had been THE model. Averaging well over 10% and even making over 20% ROI on 4 occasions. But the last few years have not faired so good for the model. As you can see on the graph, we have had 2 winning seasons, 2 losing seasons and a break-even season. Another thing that is easy to see is that the model seems to lose in the second half of the season. It’s the first few months where profit is made. The 2014 season and 2015 season we only advised bets on the Line betting. In 2016 we added H2H bets as well. 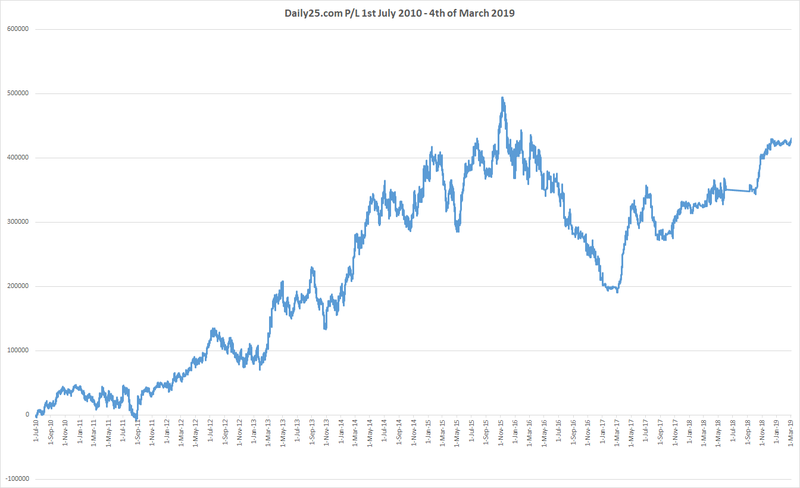 The official line bets are almost breakeven over the past 5 seasons, with a 2.3479 unit loss at a 0.3% ROI over 677 bets. It’s the Head to Head bets that were introduced in 2016 that has resulted in the losses. In the 3 years they have been official bets, they have lost 35.9039 units at -7.4% ROI over 340 bets. What will be the official bets this season? After seeing these graphs, it would make sense to simply use the Line bets as official bets this year. But to keep the results more in line with the NRL, the official bets this season will be the H2H bets. We will off course provide Line bets for our members and I will suggest they follow them for a smoother ride. But for official recording purposes, it will be the H2H bets at the second best price in the Australian market at the time of release. This works out to just $14.75 per week for access to each sports model. 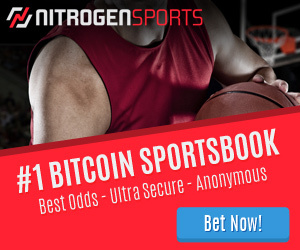 You will also get the NBA bets until the season ends. $14.75 a week per sport is just insane value. No other product can match us on price and performance. It’s a no-brainer. We release bets on the day of each game at 10:30 am. This means you can bet whatever you like and are very unlikely to get banned/limited by bookies if you win. The markets are well formed by this time (but not efficient). Combined with the NRL release time of 10:00 am, it means you can place all your bets for the day in a 30-minute window and head off and enjoy your weekend without the need to be stuck in front of a computer. Most other services like to do a few dodgy things to make their results look better. They might send out bets very early in the week. The issue with this is that the max you can bet is about $20 and bookies will limit you quickly. They also like to pick the very best odds possible. But as you know, odds can move quickly and it’s almost impossible to match these odds. Dailyprofit has always done things differently. We send our bets on the day of the game (10:30 am), which means you can get on for whatever you like and the bookies won’t shut you down. As Pinnacle is no longer available to Australians, we will simply record at the second best price in the market for this season. I’m not Australian, can I bet on NRL and AFL? Yep, most bookmakers take bets on these markets. Also, most Australian bookmakers take international customers. The only question to ask is if the time difference is an issue in placing bets. Bet are sent between 10-10:30 am AEST. You will also have very little competition at Pinnacle, which means you will get much better odds. All you need to do is head to the Dailyprofit site and subscribe to the All Sportpunter package (or the VIP package if you like). Become a part of the Dailyprofit community today and follow the exact same bets I have followed (and made all my profits from).